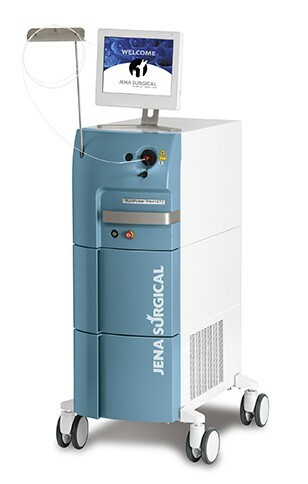 JenaSurgical introduces the last generation thulium laser MultiPulse Tm+1470, unmatched in terms of efficiency, accuracy and safety in multiple surgical application fields. MultiPulse Tm+1470 is the only system that combines a 1,940 nm Thulium laser with a 1,470 nm diode laser (maximum power 120 W + 30 W), designed to deliver the best performance in the operating room. Unmatched in terms of efficiency, accuracy and safety. The choice of emitting at 1940 nm is not accidental. 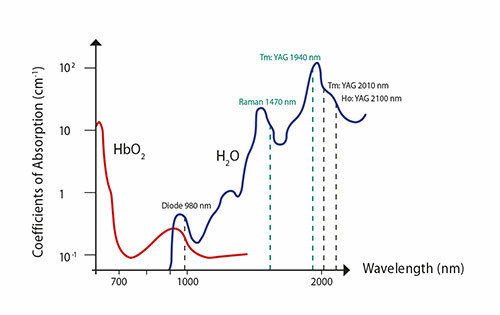 This wavelength is absorbed by water more than 1st generation Thulium at 2,040 or Holmium at 2,100 nm. 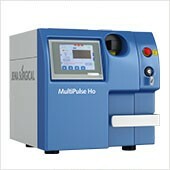 To have a more significant coagulation effect, MultiPulse Tm+1470 is integrated with a 1,470 nm Raman laser, which can be combined as desired in the same fiber optics. When a greater coagulation effect is required, it is sufficient to change from the “cutting-mode” to the “coagulation-mode”, selecting the 1,470 nm diode only by pressing a different pedal. 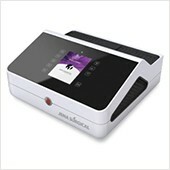 The pedal control allows the surgeon to select the required mode without changing the laser fiber and without looking away from the operating field. The ability to mix or separate these two wavelengths, combined with the innovative technological solutions of MultiPulse Tm+1470, allows optimization of the laser beam interaction with the tissue. This ensures perfect vaporization and better hemostasis when cutting, using less working power and thus minimizing residual carbonization. 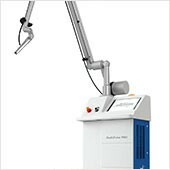 Moreover, in addition to the continuous mode (cw), the MultiPulse Tm+1470 thulium laser system can work with pulsed emission, to operate with maximum precision and delicacy even in those areas that require “colder” action. MultiPulse Tm+1470 is an extremely versatile and multidisciplinary system recommended for a variety of surgical applications in urology, gynecology and general surgery. 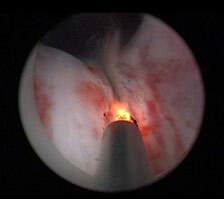 ThuLEP (Thulium Laser Enucleation of Prostate) is the innovative transurethral thulium laser technique of anatomical enucleation. The advanced technology of MultiPulse Tm+1470 enables work with an excellent view of the operative field, thanks to the perfect hemostasis and the absence of residual material from carbonization. The mix of its two wavelengths enables neat and clean surgical incisions with good execution speed, reduces operating time and allows prostates of any size to be treated. This procedure achieves the complete removal of adenomatous tissue, with maximum urodynamic effectiveness, minimal side-effects and lack of bleeding complications. MultiPulse Tm +1470 system is a precious ally for surgeons in many procedures, from routine operations through to the more complex, both in endoscopic and open surgeries. This is a high-performance surgical instrument for the tissue resection, guaranteeing the surgeon precise control over both cutting and ablation through the intuitive regulation of the main operating parameters. The MultiPulse Tm+1470 system allows to work quickly with an outstanding hemostatic effect, that can be adjusted as required, using a pedal and suitably blending the two wavelengths available. The laser beam can be directed onto the organ to be operated on using an endoscope. In this way the surgeon can easily perform very precise and accurate procedures and operate on parts of the body that could previously only be reached with traditional open surgery.